Christopher Day definitely stole the limelight at this year’s RMLA Annual Awards, being the Outstanding Person for 2018. Chris (as he is known to most) was sailing somewhere off Corsica on a catamaran doing 25 knots at the time and was skyped into the room. So this was definitely one of our more unusual presentations. 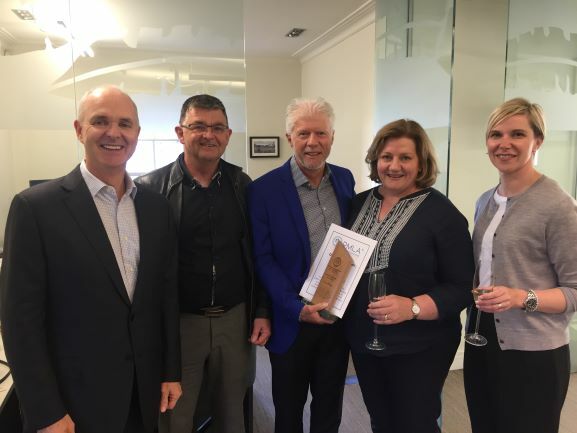 Chris received the award in recognition of his significant contribution to the understanding and management of building acoustics and environmental noise so facilitating complex developments and furthering resource management practice in NZ over many years. Chris’s response on return to New Zealand was “I would like to thank you all (and others involved with putting the award together) for the RMLA award. I would also like to clarify what might have appeared to be a slightly casual response during the rather difficult skype connection. The RMLA award was a complete shock for me. Siiri and my wife had kept it a secret so I was caught unawares and completely blown away (quite literally ). The reason I appeared a little casual online was that the first part of the conversation, where I was stunned by the announcement (and very emotional) I thought had gone live but it was actually lost in the initial technical hook up difficulties. The award was made to Chris in person at his office on Friday 2 November 2018.